February 28, 2014 Abraham drove us to Chechaouene in the Tassaot Mountains. 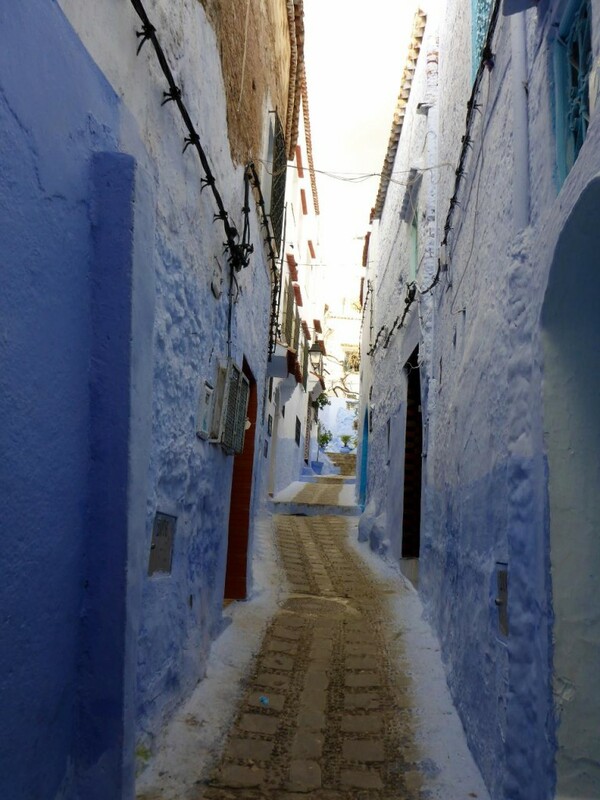 This town is full of artisans and has an old walled town Medina just like Marrakech and Fez. He set us up to spend the night inside the Medina with a very friendly family. We have been in these Medinas but never in one of the houses. 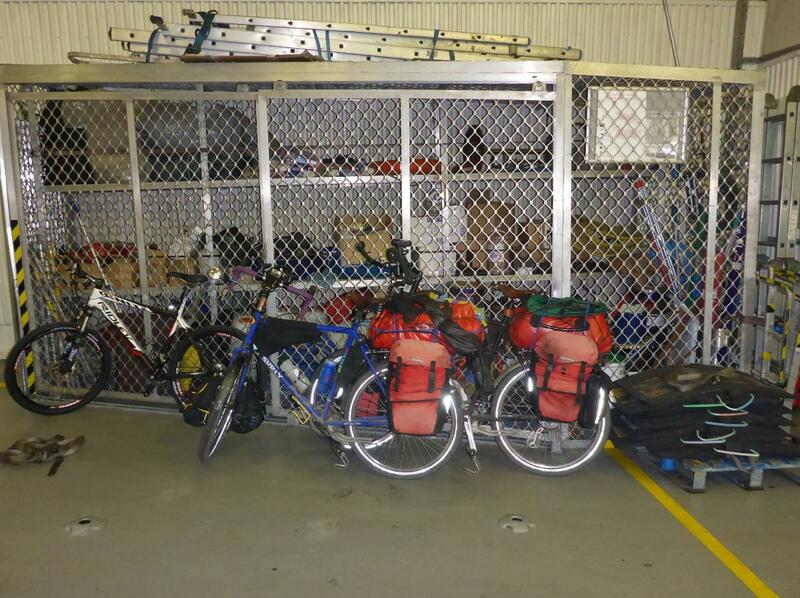 We were surprised how roomy it was inside the door and there was room for our bikes, gear, along with two beds. Their living areas were on the 2nd and 3rd floors. The family spoke little English but we got along just fine and were very welcome. We were served excellent food and had a great sleep until 9 am because there was little light. It was very cold and the blankets were piled high. We also took a night tour inside the walled town. 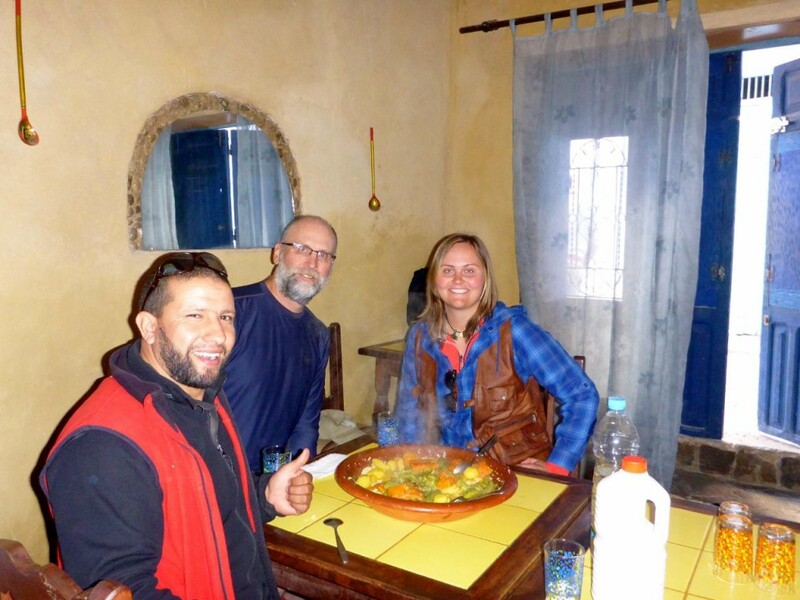 Abraham is an excellent cycle touring guide for Adrar Travel. 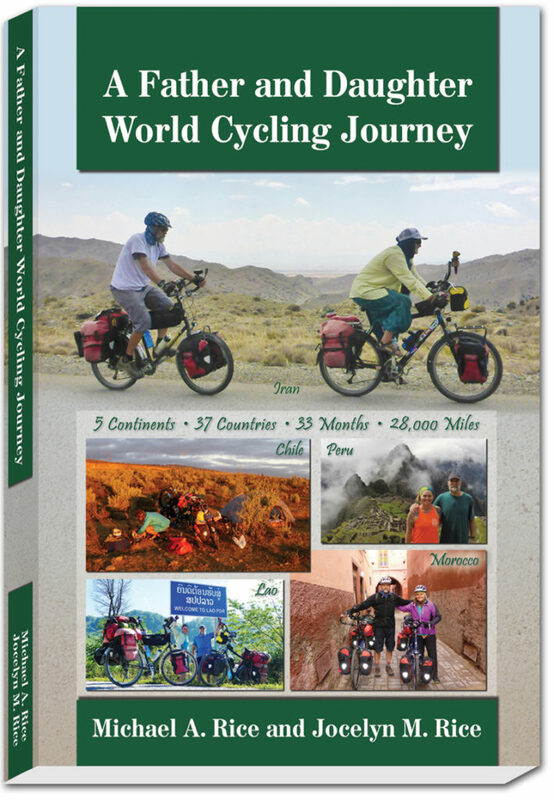 If your future cycling plans call for Morocco I can get you in touch with him. March 1. 2012 We woke up late in the Chechaouene Medina and were served an excellent breakfast by the lady of the house. We then took off into the mountains to Tetouan on a rainy day. The ride was stressful with all the holiday traffic as the Moroccan schools are out and mountain travel is popular. We stopped a few times to add more rain gear and adjust my load as I was struggling. So what does Jocelyn do? She takes my trunk bag and adds it to the top of hers! I felt bad that she was carrying so much. We even had funny looks from the locals. 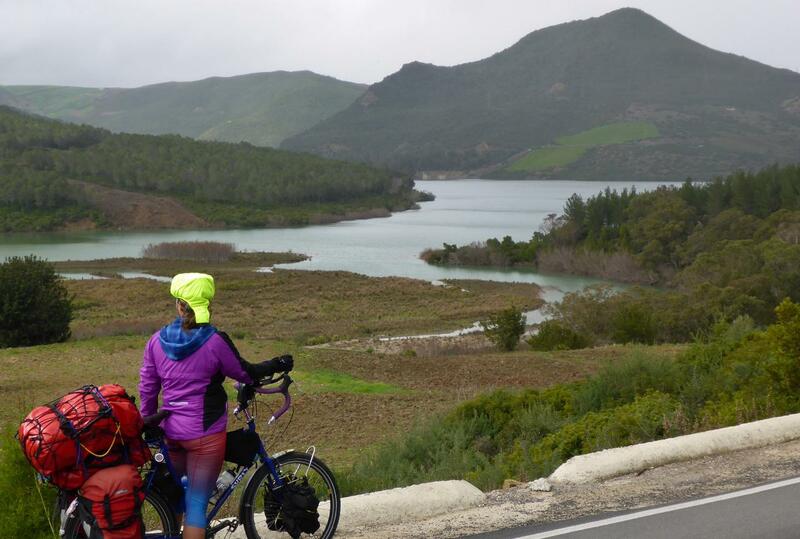 The rain and wind increased until we rode into Tetouan in a full gale as we were close to the Mediterranean Sea. We only made 35 miles in 7 ½ hour. We had no clue where to find a hotel so I asked a guy standing nearby. He understood and walked us several blocks uphill to a nice hotel (US$36). We were soaked and a mess but loving the travel. After cleaning up, and eating we were fast asleep at 8 pm. March 2, 2014 Hurricane force winds howled all night as I tried to sleep. I kept thinking we might have to stay another night but dawn brought the wind down to 45 mph according to Jocelyn’s weather search. It was crosswind or behind us so we took off for Sebta, Spain. 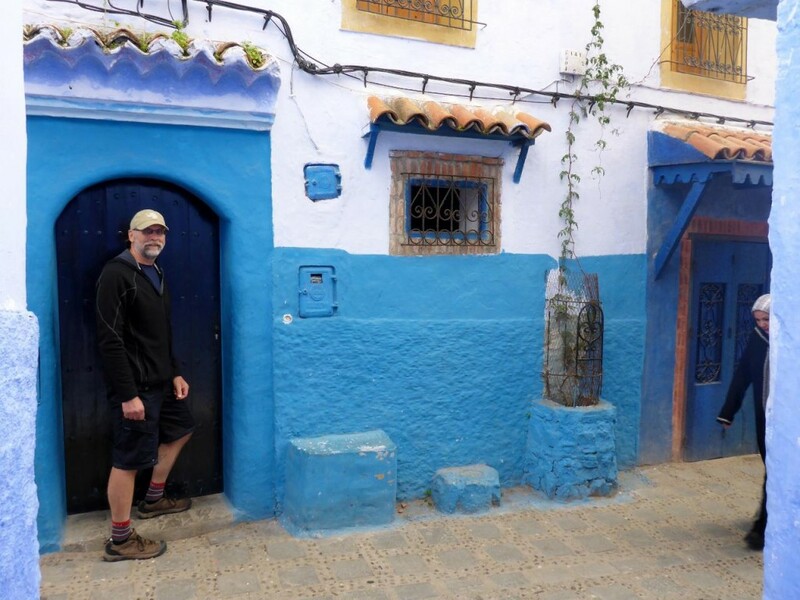 Yes, the small northern town of Sebta is Spanish territory, a thorn in the side of Morocco. The rain finally stopped but the winds were ferocious as we negotiated our way north to who knows what. 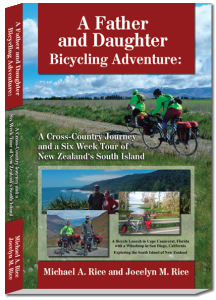 We were forced off the bike several times because of the wind. 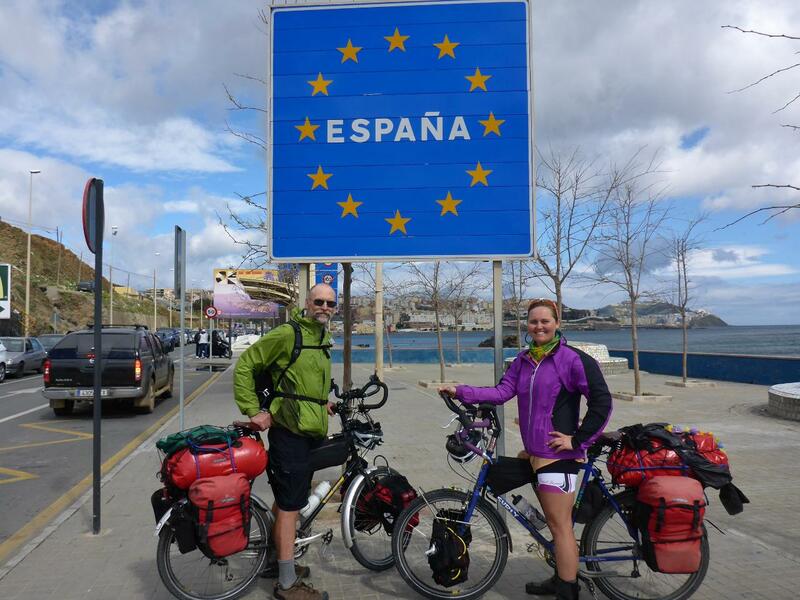 Eventually we made it to the border, were stamped out of Morocco and entered Spain. What an event! Once in Sebta were searched for the port to find a ferry to Gibraltar. That did not exist so we hopped a ferry to Algeciras and were told a ferry from there would get us to Gibraltar. Initially we got on the wrong ferry and were told “Two ferries down”. So we cycled like mad men to make that one just in time. Onboard this high speed jet ferry we bought two beers, sat down, and wondered where Algeciras was. 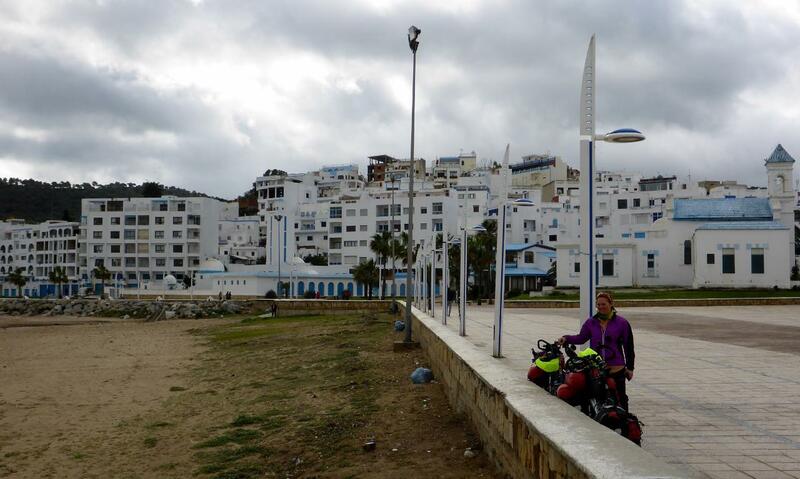 I figured it was in Algeria and Jocelyn thought we may be back in Morocco near Tangiers. What was funny was that neither of us cared. So I brought out our map and discovered that we were headed across the Strait of Gibraltar to Algeciras, Spain. All of a sudden we saw what had to have been the Rock of Gibraltar. How exciting! 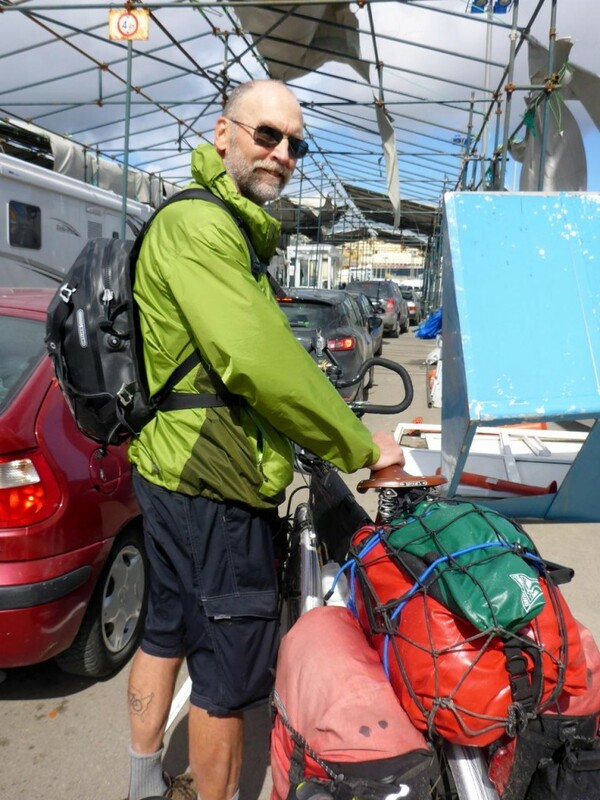 We disembarked from the ferry after it moored in Algeciras and cycled through the port area. We stopped and asked the police where the Gibraltar ferry left from and were told that it didn’t exist. 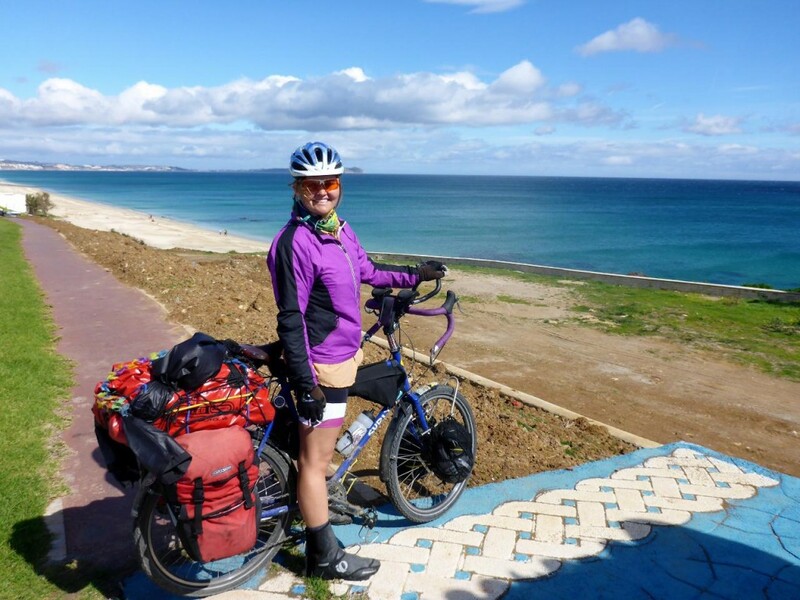 So we continued cycling into town and found a nice hotel with a beautiful view of Gibraltar and the beaches (Euro 44, US $62). 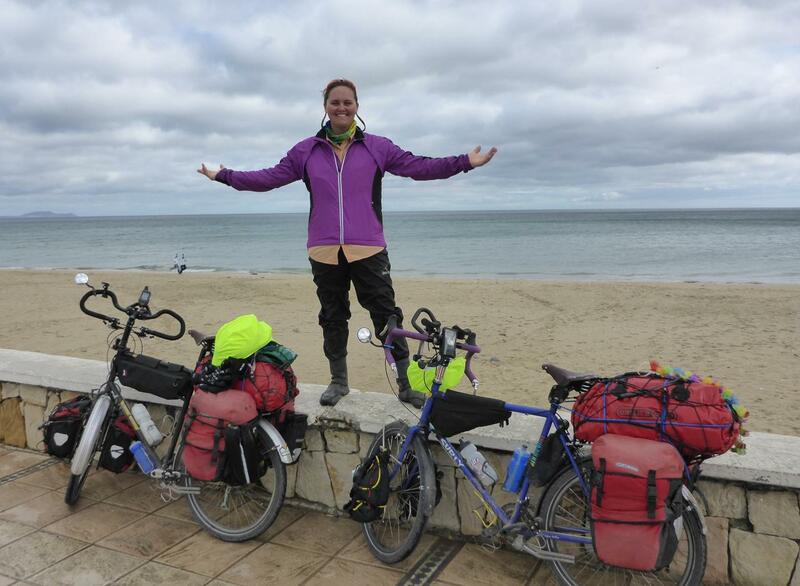 After cleaning up we decided to spend two nights to regroup, clean up, and plan our Spanish ride up the Mediterranean. My first ordering at the local cafe was comical. I pointed to the Spanish beer on tap and said “two beers”. We ended up with two pieces of toast with butter. I then went back to the girl and said “Dos cervezas por favor.” She smiled and gave me two beers. What was I thinking! We are now keeping track of miles. With Abraham we rode our bikes only 256 miles because of my stomach virus and Jocelyn’s bike problems. We did cover over 600 miles in his Toyota. 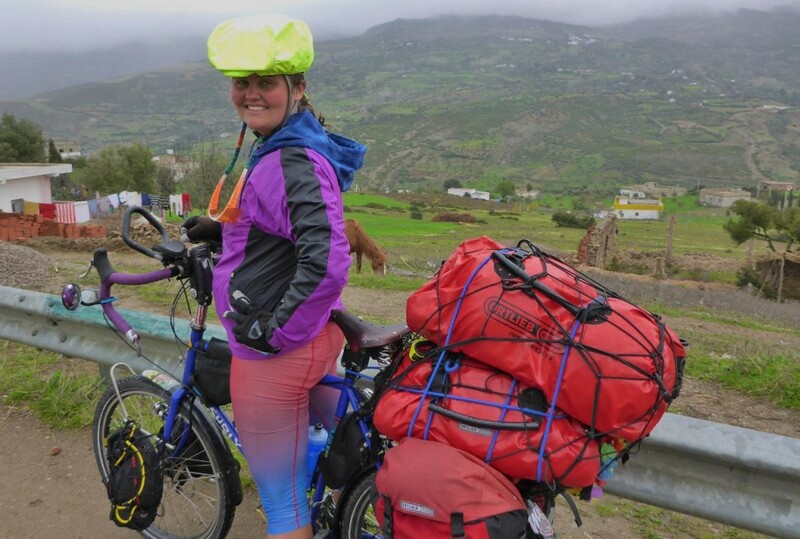 The last two days in Morocco we rode 35 and 32 miles. The total so far is 323 miles. 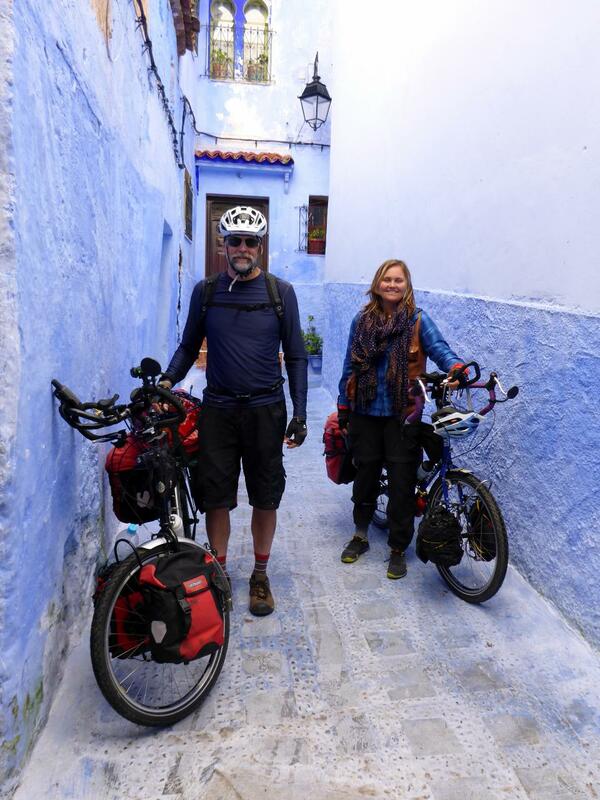 We saw and rode through some great local areas in Morocco. In this way we strayed from the tourist path. It was a wonderful Moroccan journey. 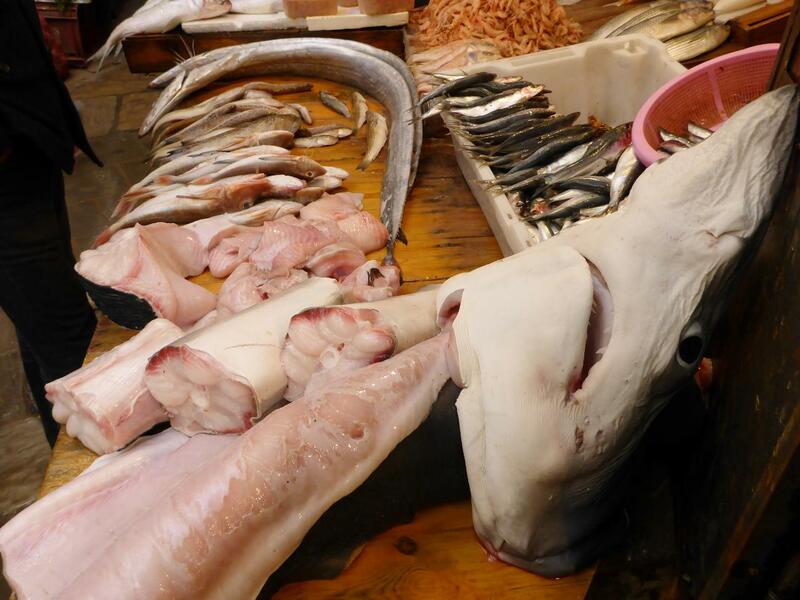 Fish market in the Fez Medina. Abraham set us up to stay in the Chechaouene Medina with a local family. We are having our final meal with him. An alley leading to our house. At the door inside the walled town. Jocelyn took my trunk bag. what a daughter! A beautiful lake high in the Tassaot Mountains. 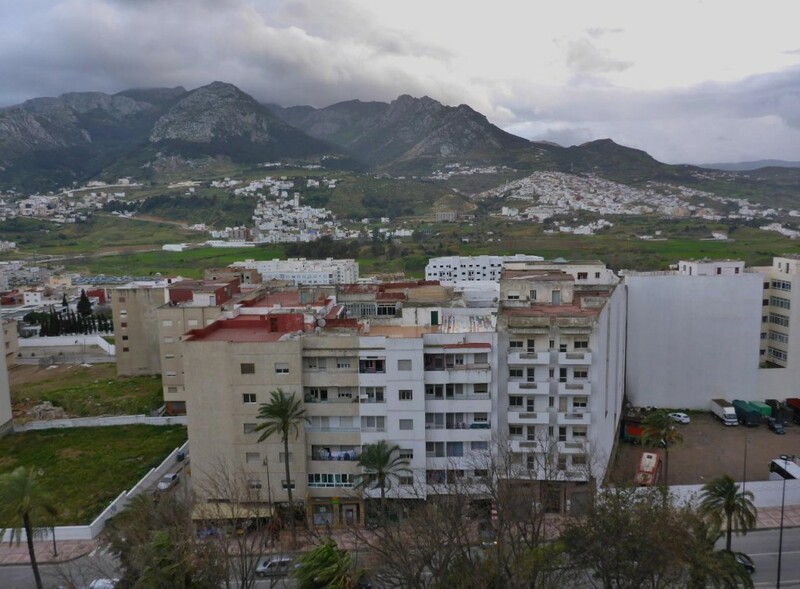 A view from our room in Tetouan. Waiting to go through border control while exiting Morocco. 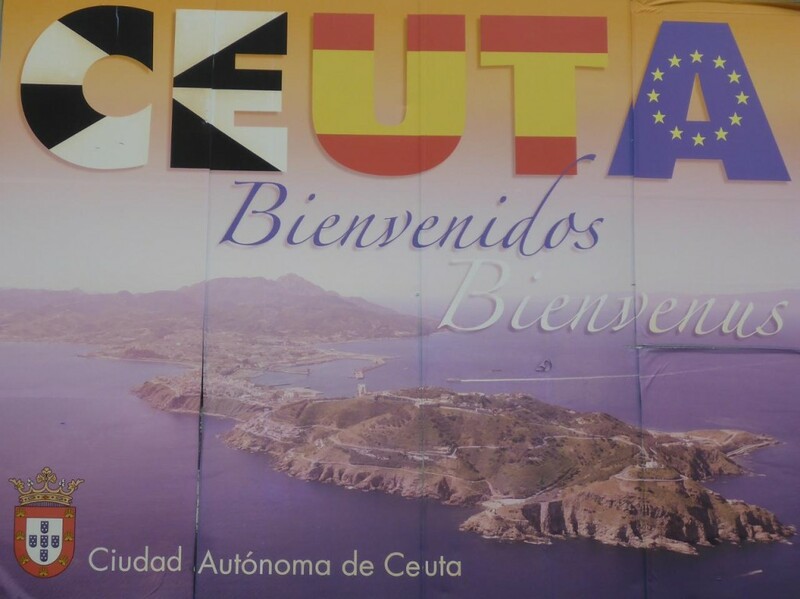 A view of Ceuta (Sebta) Spain on the northern Moroccon coast. We cycled to the port on the right side. 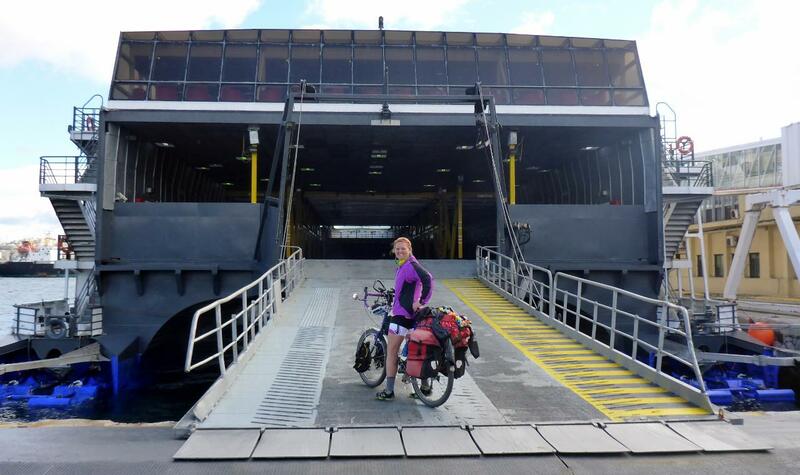 Boarding the wrong ferry! I wonder where this one went? The Rock of Gibralter as we entered Algeciras, Spain. Our bikes got a well deserved rest during the one hour ferry ride across the Strait of Gibraltar. A Spanish sunrise taken from our balcony with the rock of Gibraltar.